LTTE weren’t the only ones cheating, everyone was. The Accord required rehabilitation of Tamil refugees who had lost their homes in the 1983 riots and the ensuing civil war. Under the guise of this, the Sri Lankan government had been slowly moving Sinhalese settlers into border areas, colonising traditional Tamil regions. On the other hand, Indian intelligence agency R&AW was supplying weapons and training to the rival Tamil insurgent groups, so that they could attack and defeat LTTE should it renege on its promise. Yet in the end, it was LTTE who was most to be blamed for eventual breakdown of the Accord. Wedded to the idea of Tamil independence, they were simply not ready to accept to mere autonomy. Over the two months of August and September, Prabhakaran engineered a series of incidents to get the war restarted. Eventually, by the beginning of October, the crisis had reached its boiling point. In the first week of the month, LTTE started attacking Sri Lankan and Indian soldiers. The protectors, IPKF, and the protectee, Tamils, found themselves at war. As the situation escalated, the Indian Army Chief K Sunderji and the Defence Minister KC Pant arrived at the scene to take a stock of the situation. Two months ago Sunderji had promised Prime Minister Rajiv Gandhi that should LTTE renege on their promise, IPKF could destroy it within “72 hours to a week”. Now he was in considerable pressure to do just that. As one of the rules of life, since his boss was under pressure, General Singh found himself under pressure as well. He had recommended that IPKF should not get involved in a war with LTTE, but he was overruled. Military offensive against LTTE were to start at once. And so, Operation Pawan was born. General Singh proved to be a man not cut out for this job. He had not been part of the Indian Army’s campaign in Nagaland and had no experience of counter-insurgency. Instead, he chose to fight a conventional war. His first step was to capture the town of Jaffna, capital of the Tamil North which had unofficially fallen under LTTE’s control. Indian forces attacked the town from two directions but immediately got stuck. The insurgents were willing to fight from house to house, eating up Indian lives. The IPKF command was shocked when LTTE started using underage girls as human shields. Roadside IEDs became a frequent affair. Strangely, in some aspects, the insurgents were better-equipped than the Indian Army, toting their AK-47s against the World War II-era rifles that IPKF employed. 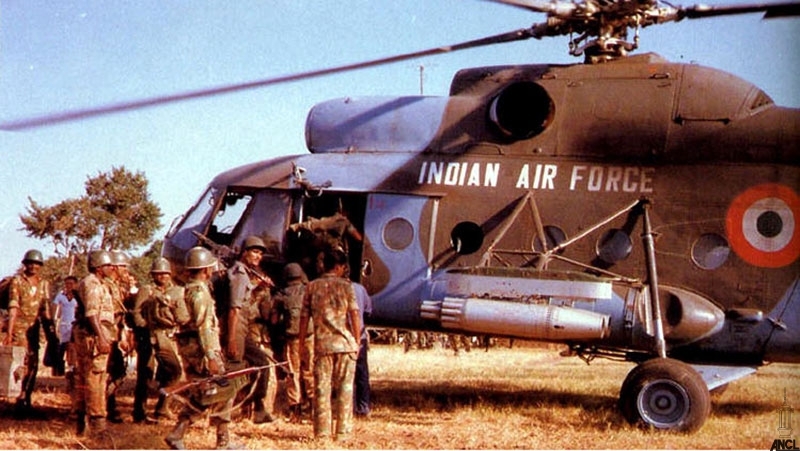 Three days into the battle of Jaffna, General Singh ordered the infamous heli-drop attack on the Jaffna University. I will talk about this attack at some length in the next post, but suffice it to say, it proved to be one of the worst disasters of Indian Military. 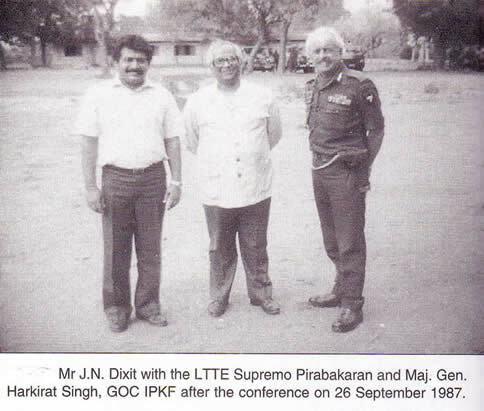 IPKF was able to overcome LTTE’s fierce resistance only after twenty days of fighting. By the end of October it had 319 soldiers killed and 1039 wounded, against 1100 LTTE militants killed. Jaffna was finally under Indian control but it was a hollow victory. During the battle, the main force of LTTE along with its leadership had escaped to the Vanni Jungles in the north. The dream of destroying them in 72 hours was lost. Now, India was here for the long haul. By the year’s end, General Singh was quietly eased out of his command to be replaced by General AS Kalkat, who proved to be a much more competent soldier. In New Delhi, there was recognition that there was no hope for a quick victory. So Rajiv Gandhi settled for a new approach. The Indian High Commissioner in Colombo, Dixit was tasked with babysitting President Jayewardene and pushing him to implement the reforms promised in the accord. Through this, Gandhi hoped to win over the Tamil population. IPKF was ordered to continue with the counter-insurgency campaign building pressure over LTTE to come to terms. Meanwhile, R&AW was allowed to maintain secret contacts with LTTE to convince them to come back to the negotiating table. The coordination between these three arms of the government was not ideal and there was much bickering. In one instance an IPKF patrol got into fire fight with R&AW agents in a case of mistaken identity. In the aftermath, all three have violently blamed the other two for the failure. implemented the conditions of the Accord. 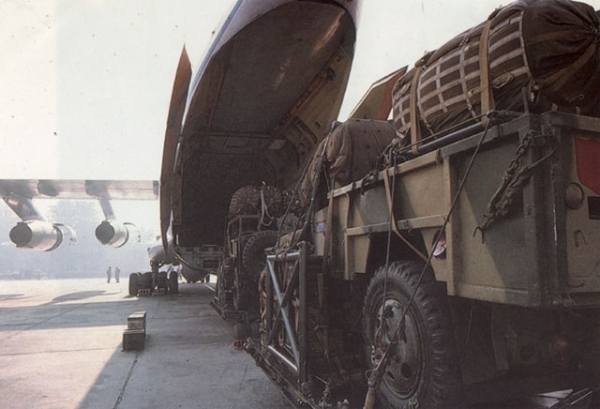 In Jaffna, the administration was taken over by IPKF and a lot was done to restore normalcy from flying in relief supplies and medicine to restoring transportation and hospitals. Eventually, IPKF installed a Provincial Government made up of EPRLF, another Tamil insurgent group that it had been backing. Meanwhile, Indian Army was getting a hang of counter-insurgency. It began making gains over LTTE. By middle of 1988, Prabhakaran was growing desperate. He started sending out feelers for a ceasefire. His demands remained ridiculous as ever, so that the ceasefire could never actually happen, but it was clear that LTTE was slowly sinking. Unfortunately, while IPKF gaining ground against LTTE, a new challenger was rearing its head. President Jayewardene, who had remained a more or less reliable partner so far, was about to go out of power as his term was coming to an end. In the upcoming elections at the end of 1988, Sri Lankans were about to elect a new President – Ranasinghe Premadasa. Premadasa was a man committed to getting Indians out of his country and to destroy any chance of peace, even if it meant sleeping with the enemy. In the next post we will see how forces from all sides, from within and without India, will come together to ensure that IPKF was defeated. Note on sources: Sadly, there is no definitive history of IPKF available. More than twenty years after the event, we still do not have some of the basic facts straight. By this point I have consulted too many books, articles, Lok Sabha debates and primary documents that I could get my hands on. The following is only a selected list of those sources. This entry was posted in India's Wars, Peacekeeping in Sri Lanka, Rajiv Gandhi and tagged harkirat singh, IPKF, jayewardene, LTTE, operation pawan, rajiv gandhi. Bookmark the permalink. where can I find the next post?